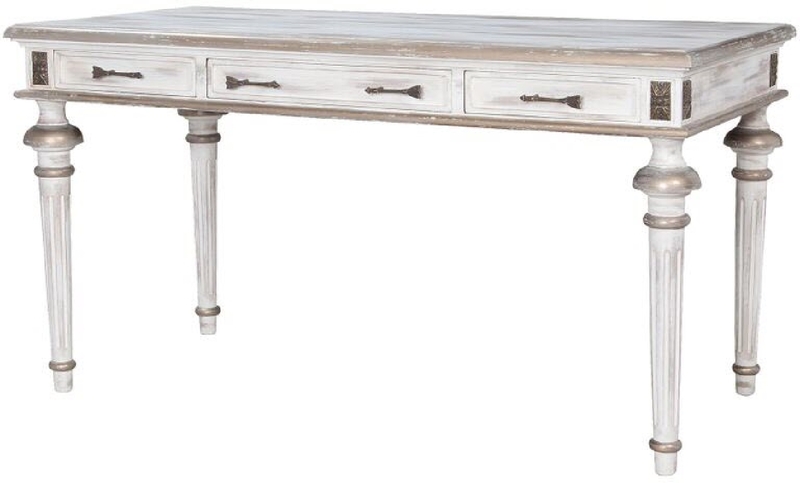 SOMERSET DESK - Front Porch White White finish with gold trims on carved desk. 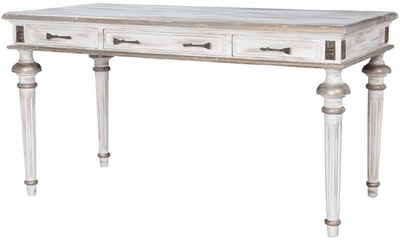 Antiqued hardware. H 32" x W 60" x Depth 30"